HelpHound Blog: Yelp - it's legal to manipulate reviews! 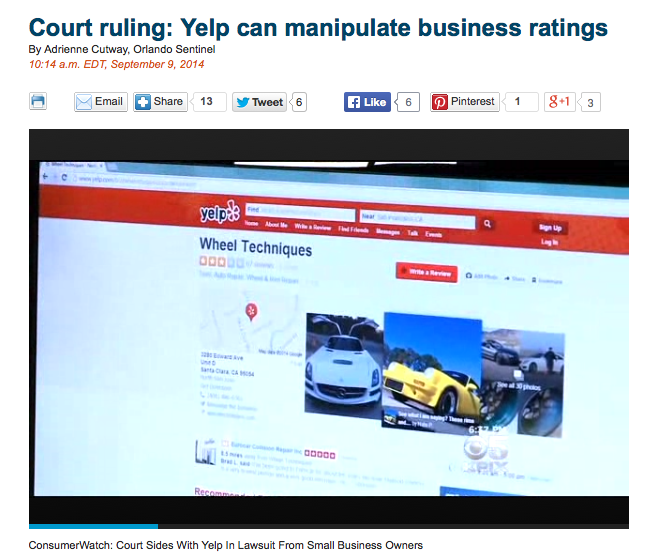 Small business owners in the US recently took Yelp to court, alleging extortion - and lost. That, in itself, is not earth shattering news. What is (to our non-legal minds) is the fact that the court ruled that Yelp's practice of favouring advertisers over those who decline to advertise is entirely legal. Yelp welcomed the ruling, calling the claims 'without merit'. That's as may be, perhaps, as this article in the San Francisco Chronicle expects, the court of public opinion will find otherwise. There's a useful news report in the Orlando Sentinel's coverage here.